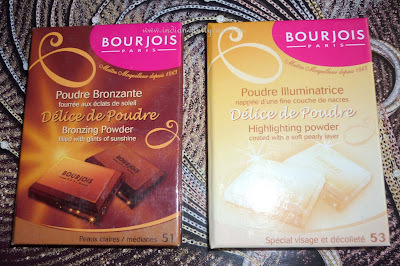 The Bourjois Delice De Poudre Bronzing & Highlighting Powders come packed in a very cute magnetic notebook-like packaging. 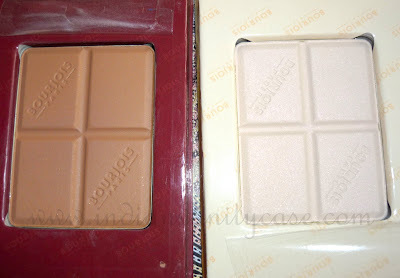 Look like chocolates, which makes them simply irresistible! Bronzing Powder ~ Filled with glints of sunshine. The shade #51 (Peaux claires/medianes) is a medium shade suitable for light to medium skin tones. It looks quite similar to Benefit Hoola in my opinion. 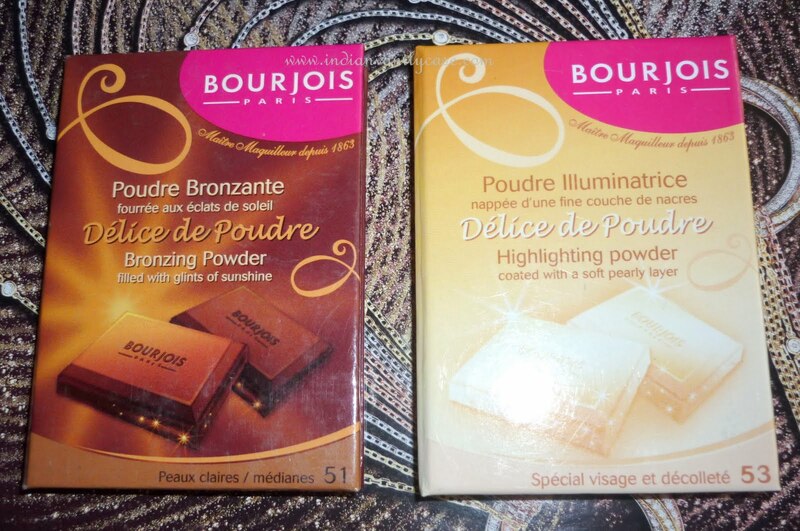 Highlighting Powder ~ Coated with a soft pearly layer for an instant burst of radiance. This is shade #53 which is a mixture of vanilla, pink, purple and gold in it. Can be used on the face and decolletage. 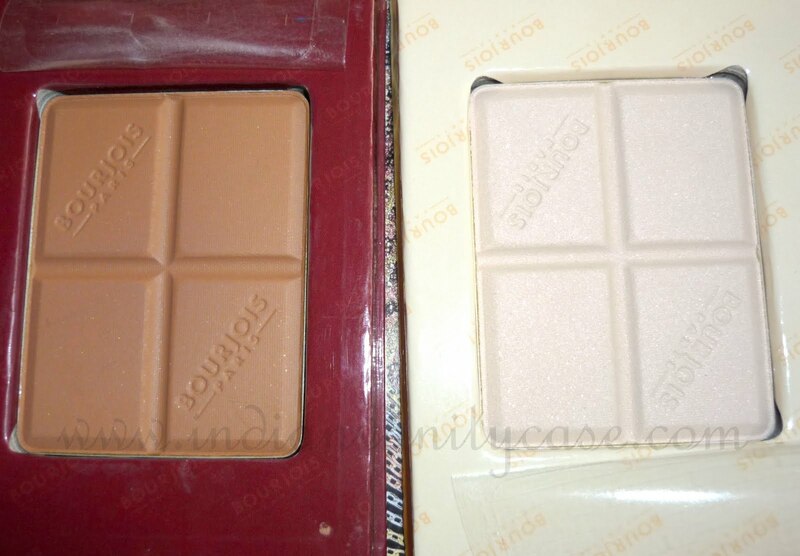 My favorite of the two is the bronzing powder. 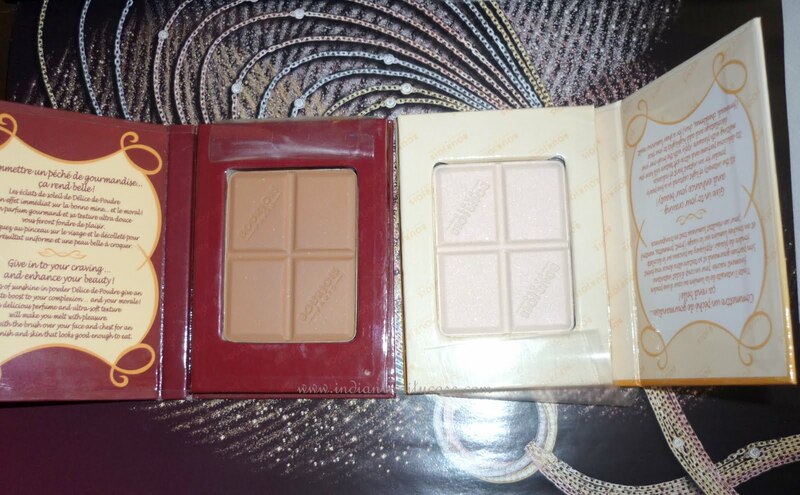 It is my first PERFECT bronzer. I'm so happy with it. Blends effortlessly and lasts all day long. I like that it's not too shimmery like most bronzers out there. Actually the shimmers or the 'glints of sunshine' don't even show unless you look very closely. I thought it is a beauty book..
Decently price ..Will check it out..
hey have u tried ny of the higlighters from benefit high beam /moon beam,i need to get a good highlighter but not sure abt which one to get ny suggestions ? 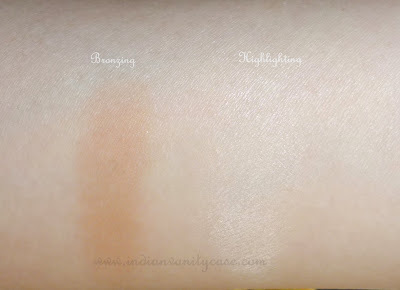 Rajni ~ I've only swatched them at their store. They are both nice but I like High Beam more. i want to eat this!!!! They look so yummy...and smell yummy too?? I don't know if I could ever use them - I would just keep looking at them..as long as I don't try eating them! I am trying to look for good bronzers and highlighters for contouring which are not so expensive. I don't seem to find the right shade. i saw this one but I thought that on my tanned face (I go swimming everyday) this will not show up. I am currently doubling a powder dark coloured eyeshadow as a bronzer. I am new to make up and I cannot really quote my MAC shade. But my veins are greenish blue. So I am warm toned I think. Read this in one of your posts. Any suggestions as to which brands will look good on me? CZ, where did you buy this in India? Went looking for this ALL over Delhi. I'm so annoyed with the Indian market!